We would love to have you become a Friend of the Foundation! 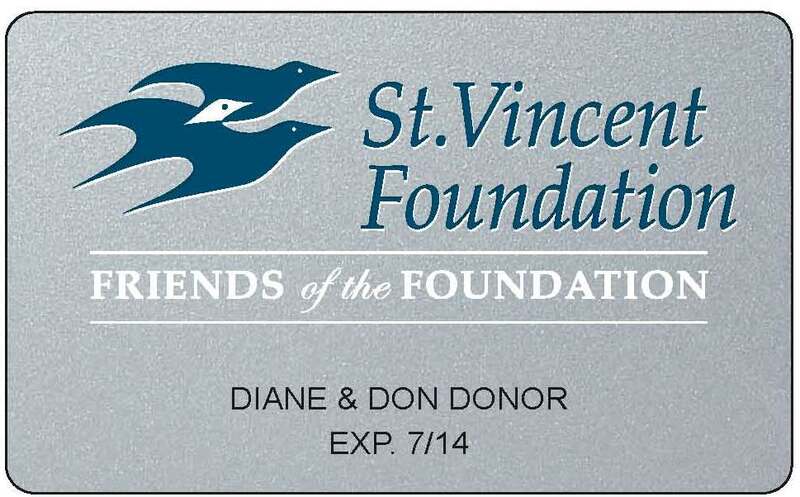 Friends of the Foundation (members of the St. Vincent Society) contribute $1,000 or more annually to the St.Vincent Foundation. As always, 100% of your donations will benefit the St.Vincent cause(s) you select, but as a Friend of the Foundation, you and your family will receive special appreciation as members of the St.Vincent Society and Friends of the Foundation. To become a Friend of the Foundation or to renew your membership, make a donation with your credit card below or print a donation form here. If you are a St.Vincent associate, you may also make your gift through payroll deduction here. Please contact Pagie Vanzo at (317)338-7142 or paige.vanzo@ascension.org with any questions. After pressing "Donate Now", please be patient as your credit card processes. in addition to an email confirmation sent to the address you entered.